Utilize a pre-listing home inspection to assist in making your property more attractive to potential buyers. A-Pro helps home sellers identify potential problems and make recommendations for improvement. As a seller, a pre-listing inspection can help identify potential problems and recommend preventive measures, which might help avoid a home buyer from backing out of a sale. There is no such thing as a home that is too new or too well built to benefit from a professional inspection. Eventually, a home buyer is going to conduct a home inspection. You may as well know what they are going to find beforehand. It allows you to see your home through the eyes of a critical third-party. Defects work in the homeowner’s favor, and not against the seller. It may encourage the buyer to waive or lessen the home Inspection period. It may alert you of items of immediate concern. It may dismiss the homebuyer’s concerns and suspicions. It can reduce your liability with supporting documentation to the disclosure statement. It can alert you to safety issues. You have the time to make the repairs yourself or find a qualified person for a reasonable price. Copies of the home inspection report along with receipts of any repairs can be made available to potential buyers. It prevents delays in selling the home. Keep the lawn neatly cut and place trash containers and other similar items out of sight. Trim trees and shrubs to make sure they do not obscure views or keep light from streaming through windows. Touch up exterior paint, if necessary. Faded or chipped exterior paint is an immediate buyer turnoff! Make the front entrance clean and attractive. Buy a new doormat. Add a wreath or other decorating elements. Make windows sparkle inside and out. Clean your home’s skylights, if applicable. Remove debris from gutters. Direct all downspouts away from the foundation. Air out your home; eliminate all tobacco, mildew, and pet odors. Inspect your home’s closets (buyers will). Do a general cleanup and remove items to make closets appear more spacious. Keep bathrooms clean and orderly. Clean the kitchen thoroughly, leaving very few items on the countertops. Do not forget to keep your appliances clean at all times. Paint interior rooms, if needed. 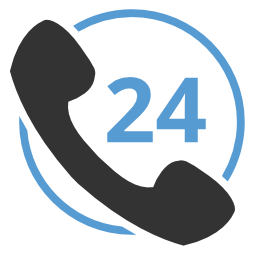 Any questions at all, just call our friendly San Antonio home inspection professionals at (210) 255-3066 or schedule an inspection now by clicking the icon below.